Today's equipment lessor must be more knowledgeable than ever before about the value of leased equipment. Many leasing decisions, from the initial transaction pricing through the ultimate disposition of the equipment, are based on the value of the underlying asset. Additionally, the accurate projection of residual values is critical. You need accurate up-to-date equipment information. You must make long-term residual value projections. You are unsure of the useful life of the equipment. Your lease calls for an independent appraisal. You need clarification of the definitions of value in your lease. You are unfamiliar with the valuation process called for in your lease. You need to know if there have been technological changes that may affect the value of your equipment. You are unsure if there have been any legislative or regulatory laws passed that may affect the value of your equipment. You want to know if there are alternative uses for your equipment in the secondary market. You are unsure of the normal maintenance practices for the industry and how they apply to your equipment and its current condition. What Are Premises of Value? Definitions of Fair Market Value, Fair Rental Value, and other end-of-lease terms are crucial to the appraisal and the re-marketing processes. While some leases may include a definition of value, many do not. In the absence of a clear definition, the approach to value needs to be consistent with the equipment's application and in accordance with generally accepted appraisal definitions. Fair Market Value is an opinion expressed in terms of money, at which the property would change hands between a willing buyer and a willing seller, neither being under any compulsion to buy or to sell and both having reasonable knowledge of relevant facts, as of a specific date. Fair Market Value in Continued Use with Assumed Earnings is an opinion, expressed in terms of money, at which the property would change hands between a willing buyer and a willing seller, neither being under any compulsion to buy or to sell and both having reasonable knowledge of relevant facts, as of a specific date and assuming that the business earnings support the value reported, without verification. Orderly Liquidation Value is an opinion of the gross amount, expressed in terms of money, that typically could be realized from a liquidation sale, given a reasonable period of time to find a purchaser (or purchasers), with the seller being compelled to sell on an as-is, where-is basis, as of a specific date. Forced Liquidation Value is an opinion of the gross amount, expressed in terms of money, that typically could be realized from a properly advertised and conducted public auction, with the seller being compelled to sell with a sense of immediacy on an as-is, where-is basis, as of a specific date. Scrap Value is an opinion of the amount, expressed in terms of money that could be realized for the property if it were sold for its material content, not for a productive use, as of a specific date. There is more to the valuation process than "what is it worth?" A professional appraiser, knowledgeable about the leasing industry, can be of great assistance to the equipment lessor in determining which value definition is most appropriate and supportable, thus providing a solid basis for informed negotiations. What Are Approaches to Value? Just as it is vital to be familiar with definitions of value, it is equally important to understand the methods by which appraisers make their valuations. There are three basic approaches to equipment valuation and the appraiser, working with the lessor, will determine which approach or combination of approaches best reflects the appraisal assignment and definition of value to be employed. Cost Approach is based on the premise that an informed buyer would pay no more for equipment than the cost of producing or obtaining substitute equipment with the same utility and quality as the subject equipment. The Cost Approach entails determining what it would cost a user to replace or reproduce the equipment with new equipment. This cost is then depreciated to reflect physical deterioration, functional obsolescence and economic obsolescence. 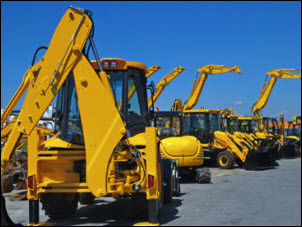 Sales Comparison Approach is based on the theory that an informed purchaser would pay no more for equipment than the cost of comparable used equipment with the same utility. Using the Sales Comparison Approach, a survey is made of the used market, gathering and interpreting information about the terms and conditions of comparable sales transactions. The appraiser makes adjustments to this information base to reflect the difference between the equipment being appraised and the market research sales results for comparable equipment. Income Approach is based on the principle that an informed buyer would pay no more for equipment than an amount equal to the anticipated future income generated by equivalent equipment, less the cost of maintenance. In this approach, the expected periodic benefits of ownership are converted into an indication of value. The Income Approach is best used when there are a sufficient number of comparable assets whose earning power is measurable in the current marketplace. This approach is not generally used in valuing machinery or equipment individually because it is difficult to value the earning potential of each asset without analyzing the entire business enterprise in which the equipment is being utilized. Proper appraisal procedures require a careful review by the appraiser to ensure conformity with the lease contract, appropriateness to the equipment type, and sound appraisal practices. In the next Leased Equipment post, we'll share Podwalny's tips on how to select a qualified equipment appraiser, what to look for in the appraisal contract you'll receive, and what to expect in the final valuation report.